Talking Stick Resort is located 18 miles from Phoenix Sky Harbor International Airport on Indian Bend Road just east of Loop 101 in Scottsdale. It opened April 2010. 50 table games including Blackjack, Let It Ride, 3-Card Poker, Casino War and Pai Gow Poker. Poker Room (The Arena) - Texas Hold Em, Omaha and 7-Card Stud. From Phoenix Sky Harbor Airport, take 202 East to the 101 Freeway North. Exit going east at Indian Bend Road. The Resort & Spa site is located next to Scottsdale's Pavilions Shopping Center and Talking Stick Golf Course. The Talking Stick Resort recently was awarded "Casino if the Year" by the 2018 International Entertainment Buyers Association. The award ceremony was held on October 02, 2018. This is the first time that this award has been given to a casino in Arizona. The Salt River Pima-Maricopa Indian Community own the casino resort. Talking Stick Resort opened in 2010. Since that time, the casino has strived to provide quality concerts and entertainment in Arizona. Every year the casino attempts to bring bigger name acts to perform. Talking Stick Resort hosts numerous entertainers, comedians, and musicians throughout the year. The award ceremony is held every year. 2018 marked the 48th year of giving award recognition. 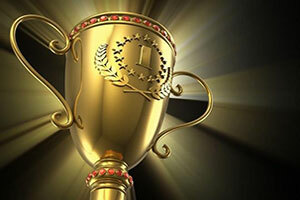 Awards are given in different categories and recognize agents, venues, and companies.